Renata Comstock, age 93, passed away peacefully at the Spring Valley Care Center on July 23, 2018. Renata Vironika Wallner was born on July 29, 1924, in Pleasant Valley Township, Mower County, Minnesota, to Edward and Martha (Schultz) Wallner. Her mother passed away when she was young, and she was raised by her aunt Anna Laabs and her grandparents. Her early years were spent on a farm. At age 6, the family moved to a small acreage in Stewartville. She attended Stewartville Schools, graduating in 1942. On July 29, 1943, she married Joseph “Emmett” Comstock at St. John’s Lutheran Church in Stewartville, Minnesota. Emmett worked for various farmers in the area, and she worked as a housewife and farm helper. Shortly, they started their family of two daughters and six sons. Renata was busy with her children and later her grandchildren. She was a 4-H adult leader and a church organist. When her husband became ill, she started working out of the home at the Four Winds Restaurant, and then took dietitian classes. In 1978, the year of her husband’s death, she started work as a cook in the food service department of the Spring Valley Memorial Hospital and Care Center, where she worked until retirement. Following retirement, she volunteering in the Green Thumb program at the historical society and library. She was interested in genealogy and made many scrapbooks. She loved gardening and was a member of the Rainbow Garden Club. She acted in community plays. She enjoyed reading and doing jigsaw puzzles. 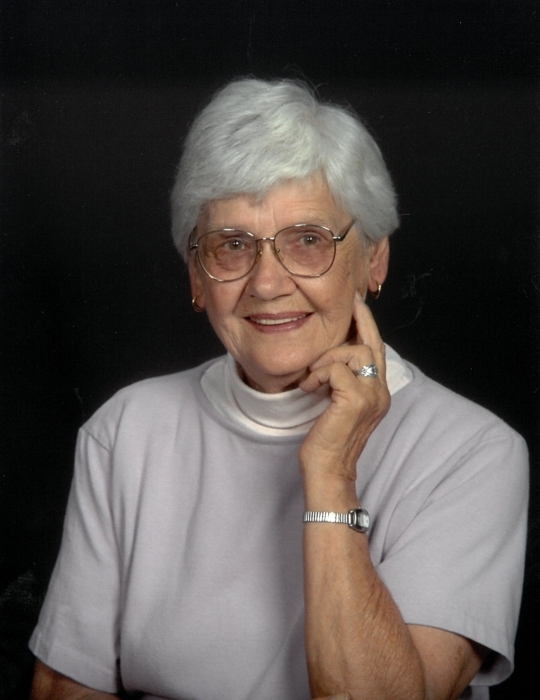 She was a lifelong Lutheran and attended St. Johns Lutheran Church after her move to Wykoff. She was a member of the LWML Ladies Aid at St. John’s. Renata is survived by two daughters, Renata Diane (Robert) Voeltz, of Spring Valley, MN, and Alita (Robert) Rathbun of Elkton, South Dakota; five sons, Allen (Linda) of Wykoff, Verne (Anne) of Wykoff, Kevin (Marchel) of Preston, Caleb (Penny) of Wykoff, and Jeremy (Pamela) of Wykoff; a daughter-in-law, Deanna Comstock of Excello, MO; 23 grandchildren; and many great-grandchildren and several great-great- grandchildren. Renata was preceded in death by her parents, her husband, one son Rodney, a grandson Lee, and her siblings Herb Wallner, Zerita Kern, Alvin Wallner, and Yolanda Ulibarri; and Nestor Labbs and Savera Zimmerman of the Labbs family. Renata outlived all members of her and her husband's immediate families. She is lovingly known as “Grandma C” to her many grandchildren. She will be greatly missed. Visitation will be held at the Hindt-Hudek Funeral Home in Wykoff on Thursday, July 26th from 5 to 8:00 P.M., and at the church one hour prior to the funeral service. The funeral service will be held at St. Johns Lutheran Church in Wykoff, Minnesota on Friday, July 27th at 11:00 A.M. Burial will follow at the Millet Sumner Cemetery.